A hosted solution is one that is based out of a provider’s data center, as opposed to an on-premise solution, which is physically based in a room or closet of the place of business. Businesses have many reasons to switch, but many have good reasons to stick with an on-premise solution. These range from cost to conflicting technologies. Here are nine reasons that a company may choose to stick with their existing on-premise PBX system. 1) Long Term Cost – According to Michael Bremmer, CEO of TelecomQuotes,“A good premise system will last at least 10 years and doesn’t require [a] monthly fee for every new seat you add.” Over the course of ten years, and in some cases only five years, the on-premise cost will be amortized, compared to having to continuously pay for users with a hosted solution. 2) Employees are used to existing system – There is the old saying that many computer problems are caused by the nut behind the keyboard. The fact is that many of us are used to using regular phones that connect to the telephone jack. Old phones are perfectly acceptable for many of us, and it is a huge pain in the neck to switch over, and can be a huge drain on resources to train employees to use the new system, and that time might be better spent servicing customers. 3) Connection speed may not be able to handle VoIP – DSL is a cost-effective method of connecting to the internet, compared to fiber optic or copper wiring. But being cost-effective means that your connection may not be capable of handling a demanding IP phone system. The average DSL speed is between 128 bps and 3000 Kbps. VoIP requires about 90Kbps for good quality, and 30 Kbps for compressed call quality. If you use VoIP while surfing the net and your connection isn’t strong enough, you will have poor sound quality and dropped calls. If you are using your traditional phone lines while using the internet, the two will have no effect on each other. If you have to increase your bandwidth, it will increase your monthly cost, not bring it down. 5) Concerns about internet security – The PSTN phone system is one of the most secure methods of talking to someone. In many ways, it is the safest way to talk to someone besides actually being in the room with them. 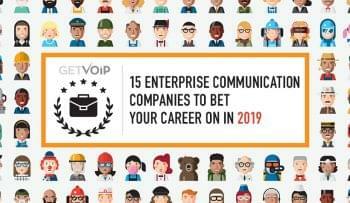 VoIP, on the other hand, is vulnerable to fraud, viruses and worms, Vishing (VoIP Phishing), SPIT (Spamming over Internet Telephony), call interception, and denial of service attacks. Hosted PBX providers have to be vigilant against attacks every day, and every once in a while, the bad guys win. In contrast, the PSTN phone lines are safe and secure, with fewer ways to tamper with the system. 6) The PBX services a single location – A hosted solution is perfect if you have six offices across the world. But if you have more than ten users at one location, an on-prem solution may be a better fit. The more users at a single location, the more useful it can be to have an on-premise PBX. If you see a lot of turnover or anticipate that your business may grow or shrink in the near future, a hosted solution may be the choice for you. 7) PBX is not dependent on broadband internet – While we like to think of the internet as being reliable, for businesses, nothing is flawless. Business internet providers typically guarantee 99.9% uptime, which does not nearly stand up to the reliability of an on-prem solution. A company’s productivity can grind to a halt if its voice and faxes are down. A business can protect itself from this potential disaster by having an on-premise PBX solution, rather than a hosted solution. This way, even if the internet goes down, you can pick up the phone in order to make up for the loss of email. 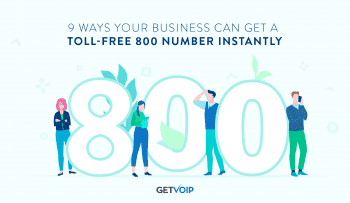 8) The company makes more local and internal calls – While VoIP and hosted solutions may be the choice for long-distance and international calls, the fact is that many small and medium sized businesses are local businesses with a local focus (e.g. restaurants, auto mechanics, furniture retailers, etc.). Sometimes the advantages of a hosted solution are lost on a company that simply has no use for them. 9) If you have an IT staff, actions can be taken immediately, rather than wait for the hosted provider to authorize a change – One of the benefits of having an IT staff is that they can take care of problems quickly. If you want to, for example, change your phone, your IT staff can provision the phone for you. The IT staff can easily add an extension or a line, and it won’t cost extra. An on-premise PBX is comparable to a dedicated server in web hosting. An on-premise solution allows for the company to call the shots regarding system specifications, so every detail matches the needs of the customer. – What is Hosted PBX Service?